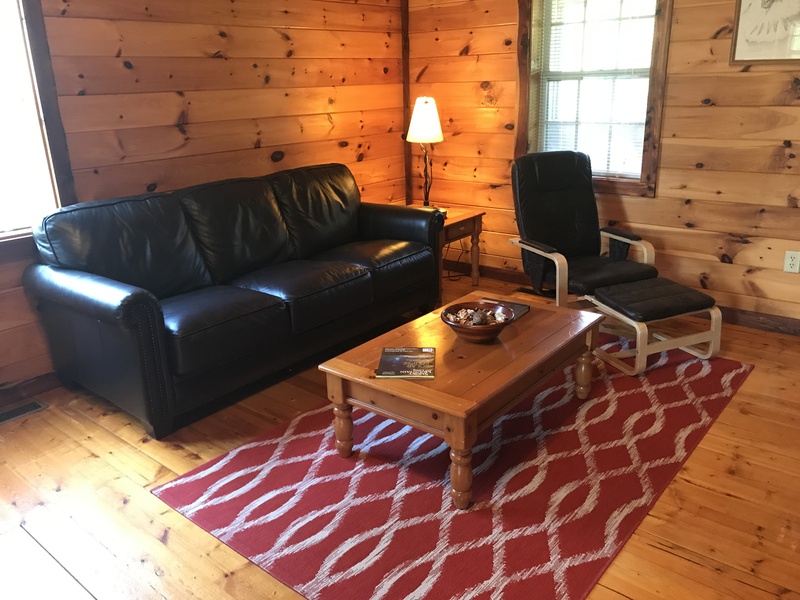 Located in Pigeon Forge, Tennessee, just outside the Great Smoky Mountains and Gatlinburg, the Sweetheart's Retreat one-bedroom cabin is the perfect log cabin for honeymooners or those sweethearts looking for the ideal romantic cabin. As you enter this romantic retreat your eyes immediately focus on the luxurious furnishings and the majestic stacked stone fireplace. 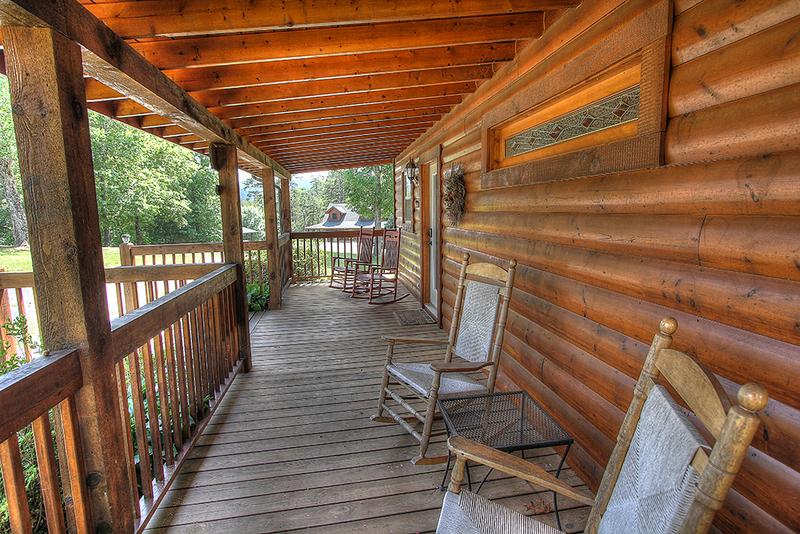 This log cabin has privacy and great mountain views but is close to Pigeon Forge and Gatlinburg. The fully equipped kitchen is ready for cooking. 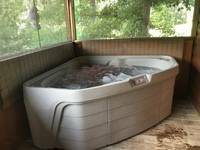 Bring candles and champagne for relaxing in the heart shaped Jacuzzi or enjoying the great outdoors in your hot tub. 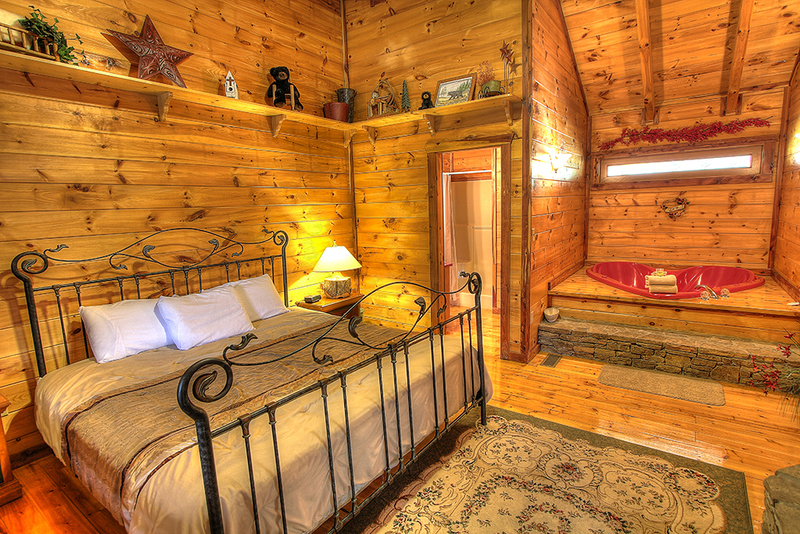 With luxurious furnishings and rustic charm you will not be disappointed with Sweetheart's Retreat. SweetHearts Retreat has Access to a Fishing Pond. 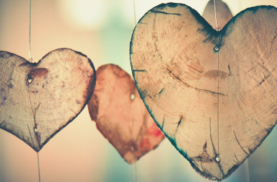 This is our second time staying at Sweeheart's Retreat and will stay there again. 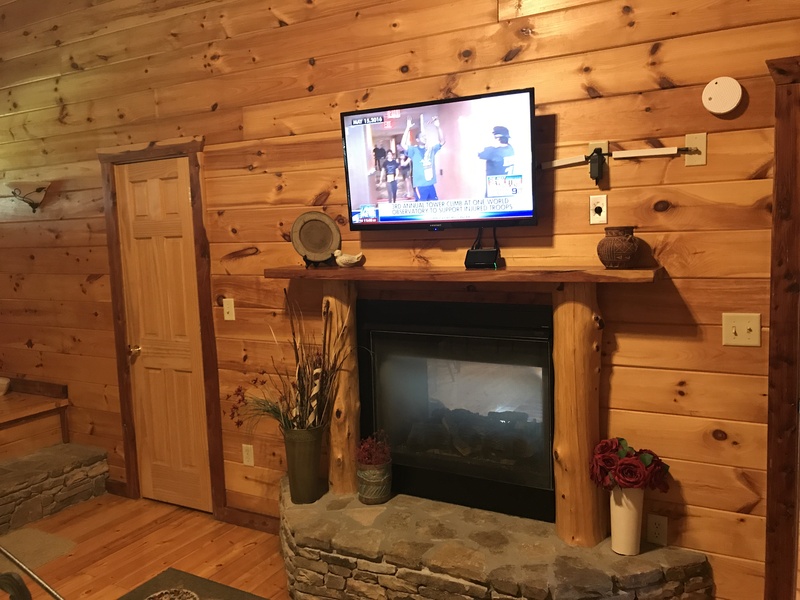 We received a text saying our cabin was available and we could check in early which was great because we arrived in Pigeon Forge a few hours earlier than anticipated! We will definitely stay with Maples Ridge again in the future! 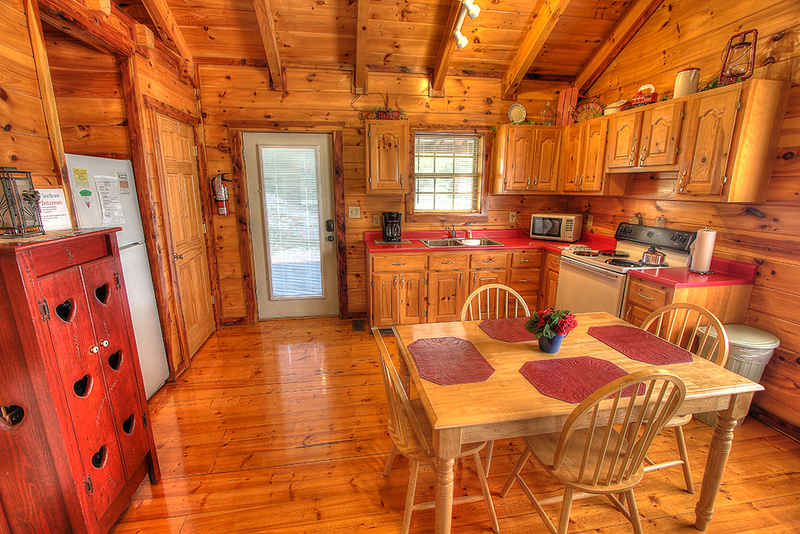 We love coming to the mountains and always rent cabins from Maples Ridge, and we've never been disappointed! This cabin was the right size for the two of us. We loved the 2 sided fireplace. Can't wait to make another visit. We love the return customer discount and the friendly staff. Our stay was incredible. We couldn't have been happier, and we're already planning our next trip. The staff at Maples Ridge is fantastic! 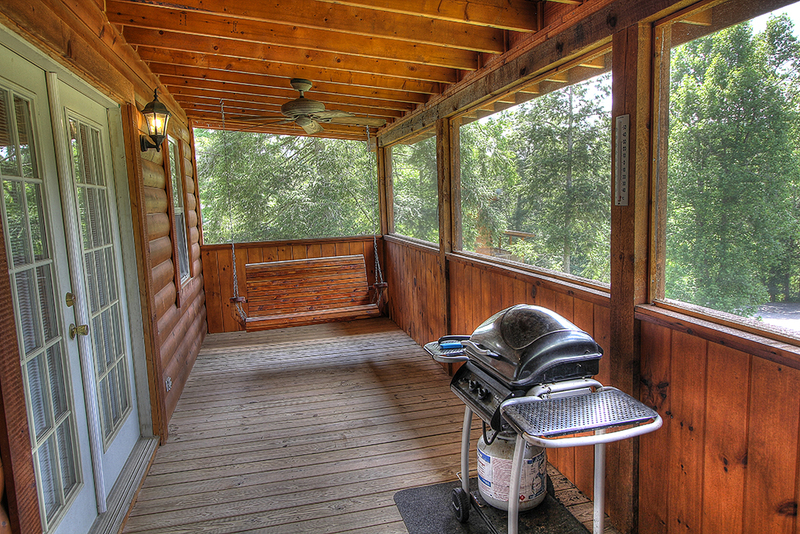 the cabin was everything we wanted and more. Thank you so much. We'll be back for sure! 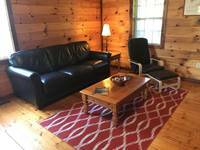 This is a great cabin for newly weds! 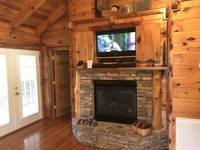 The fireplace made the cabin warm and comfy. The staff was very helpful and friendly. Everything was perfect! We had the best honeymoon I could imagine, just wish we could have stayed longer! Nice clean cabin, close to everything Cabin was clean and close to everything. Cute little cabin Cabin was cute and perfect of a couple. Could have used a little more cleaning because there were cobwebs all over. Other than then that it was great! Bed was really comfy! Just wish it would not have rained the whole time we were there! Perfect cabin for a couple getaway. Loved the location of the cabin. very convenient to everything, but feels like you are far away from it all. Perfect size for a couple. Enjoyed our stay. Very clean. 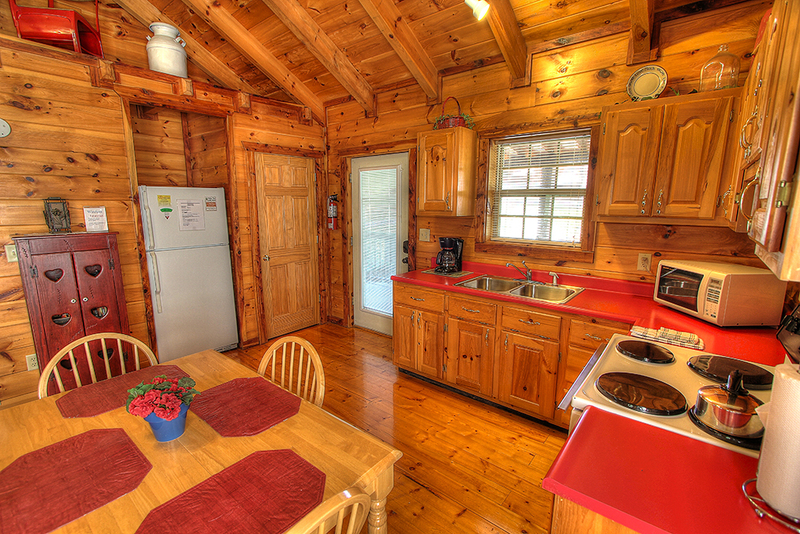 Maples Ridge is the only place we rent from in the Pigeon Forge area. The staff is always friendly and courteous as well as knowledgeable. Highly recommended! This cabin is one of the most beautiful places we have ever stayed! 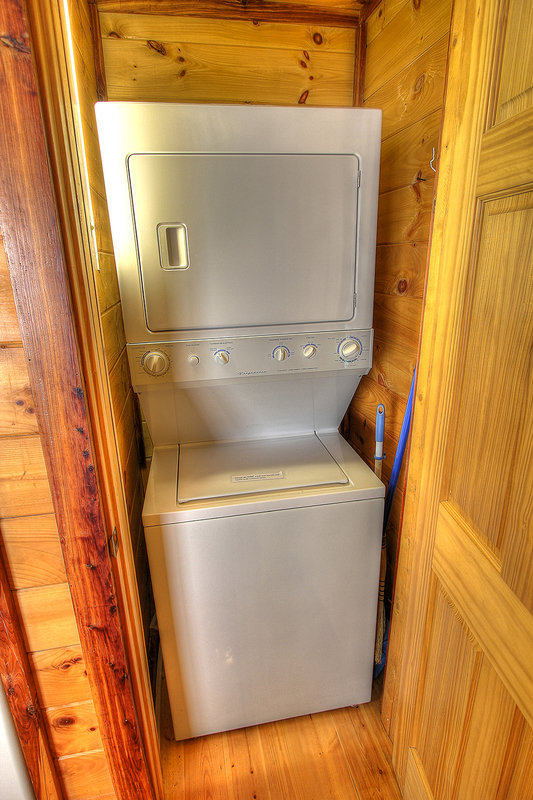 It is very clean and well stocked. The bed is comfortable. 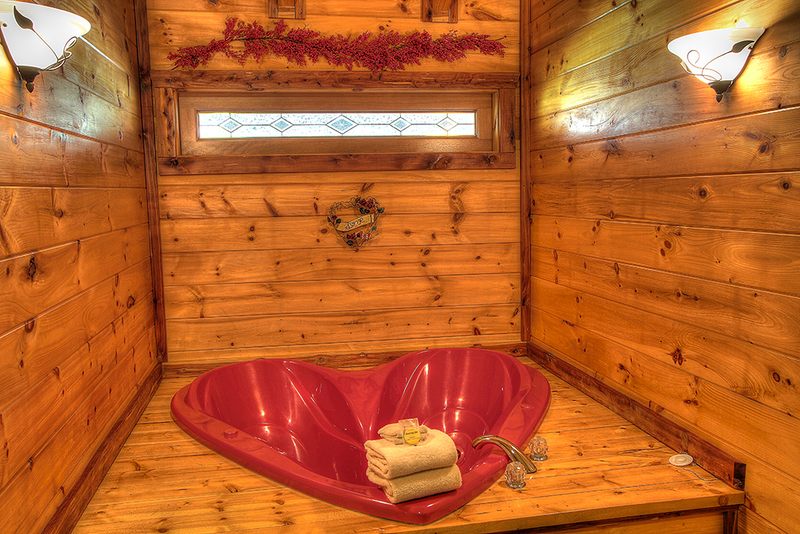 The heart shaped jacuzzi is romantic and the hot tub is nice. The decor is cozy and we absolutely loved the two sided fireplace. 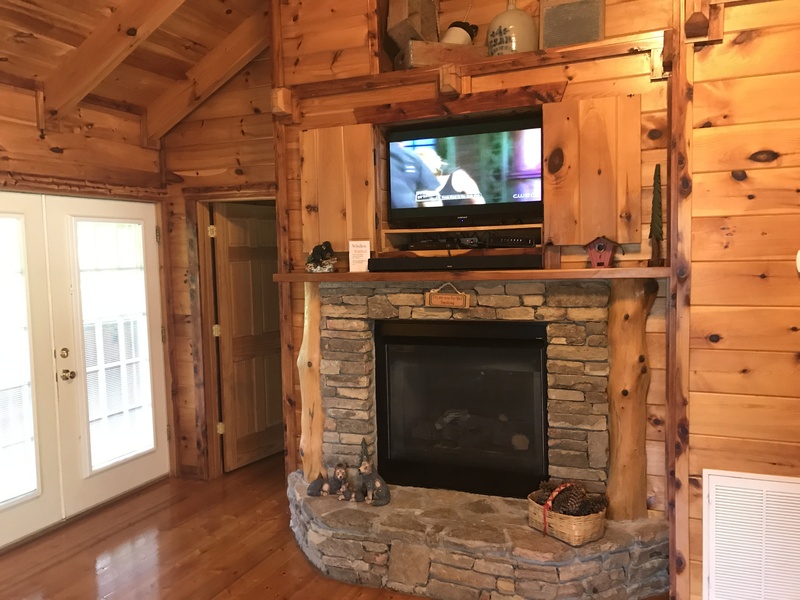 We had originally planned on visiting several attractions in the area during our stay but the cabin was so wonderful we spent most of our time there instead! 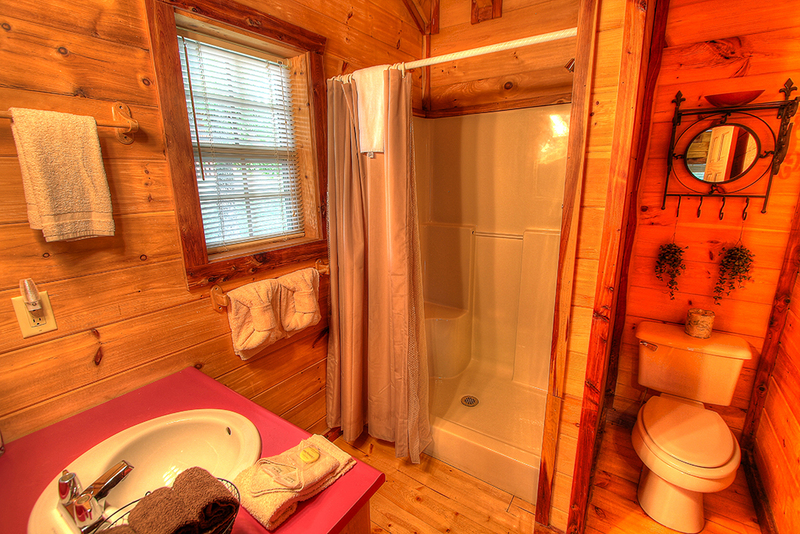 I can't say enough about this cabin and we look forward to returning again in the near future! Fantastic Overall it was a great retreat for a couple! Never had any issues. Stayed for 5 nights. My wife and I love gaitlin burg and pidgeon forge! We will definitely be back and if it's just us we would love to stay in the same cabin! Very clean and functional house with basic amenities. 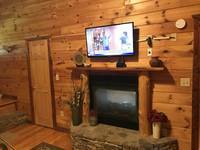 The gas fireplace is terrific for those cool nights and mornings. The back porch hot tub was clean and well maintained. We enjoyed our time at Sweatheart's Retreat. 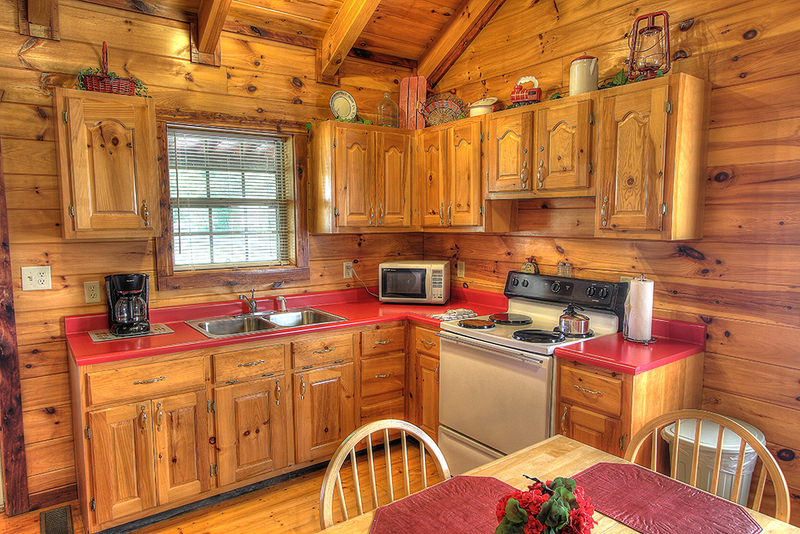 The cabin was clean and nicely decorated. 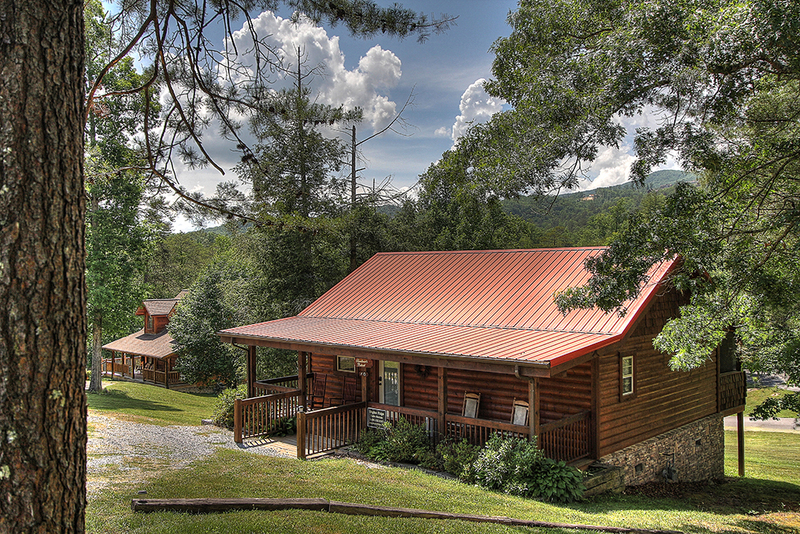 The location is close to the main drag of Pigeon Forge but far enough out to feel like you're out in the mountains. There are some other cabins nearby but not so close to be intrusive. The neighborhood is very nice and well-kept. We had no problems with the cabin. We would definitely stay again. The cabin was perfect! Exactly as advertised. It was so nice to have such a comfortable place to rest and relax. My husband and I celebrated our 26th wedding anniversary and this was our first vacation ever. It couldn't have been more perfect especially after our long drive from Michigan. The cabin was immaculate! I will definitely recommend this to friends and family. 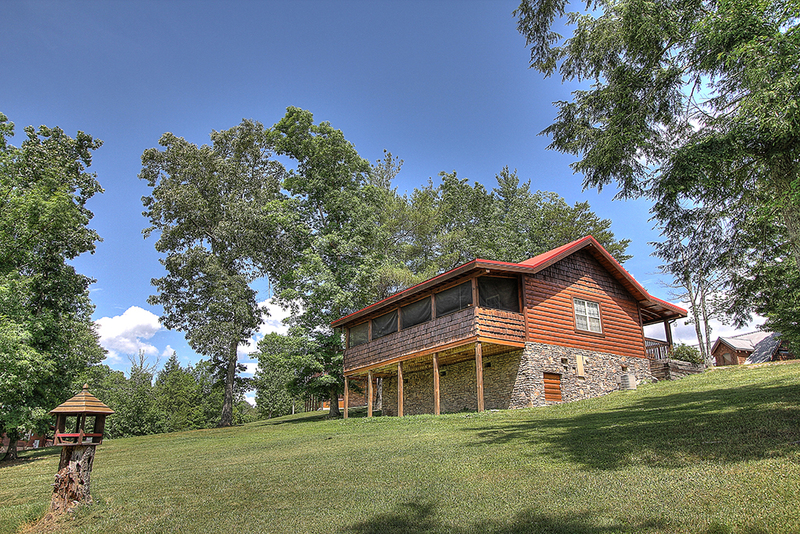 Wonderful cabin just out Wears Valley. Perfect for relaxing after exploring the beautiful Smokey Mountains all day!! !